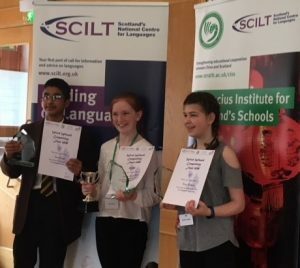 Congratulations to Haris Ahmed S1 who came 3rd in the finals of the national Mandarin Word Wizard competition organised by Scotland’s National Centre for Languages and the Confucius Institute for Scotland’s Schools. 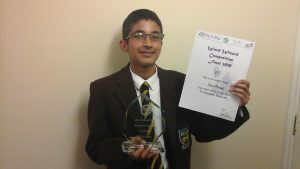 The final was held at the Scottish Parliament on Friday 11th May. Three of our former pupils are currently in Tianjin on 9 month scholarships. You can read their blogs here. Two more Jordanhill pupils have been awarded scholarships for 2018-19.